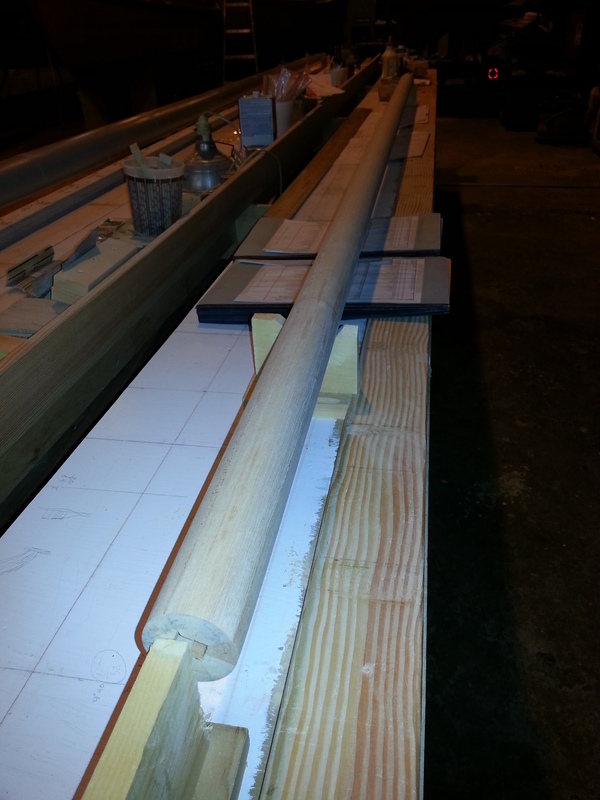 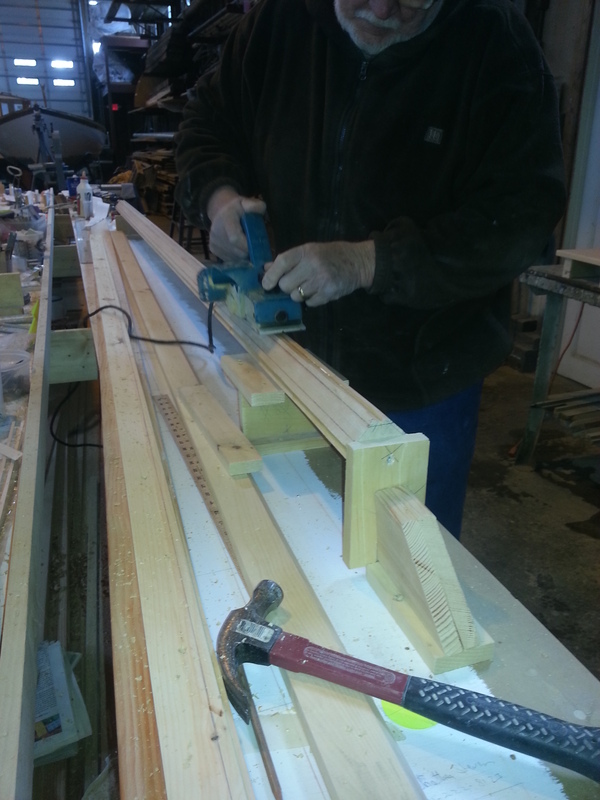 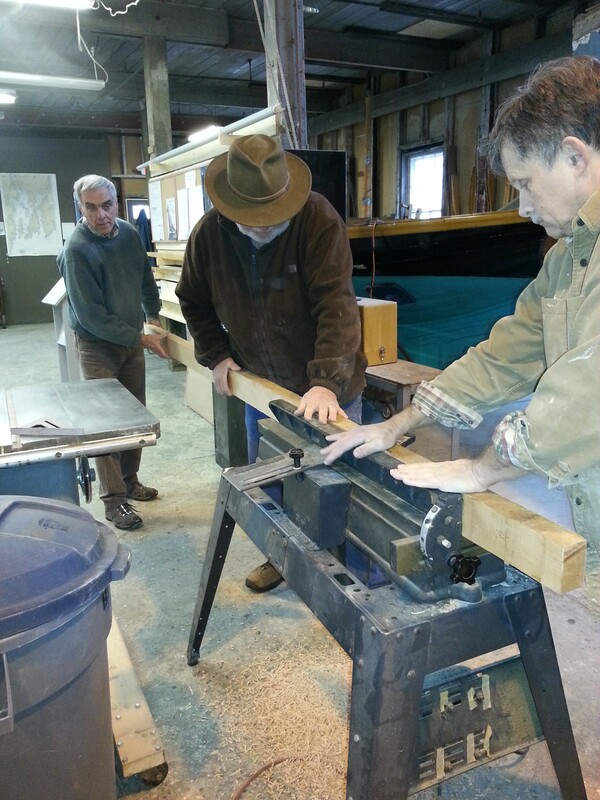 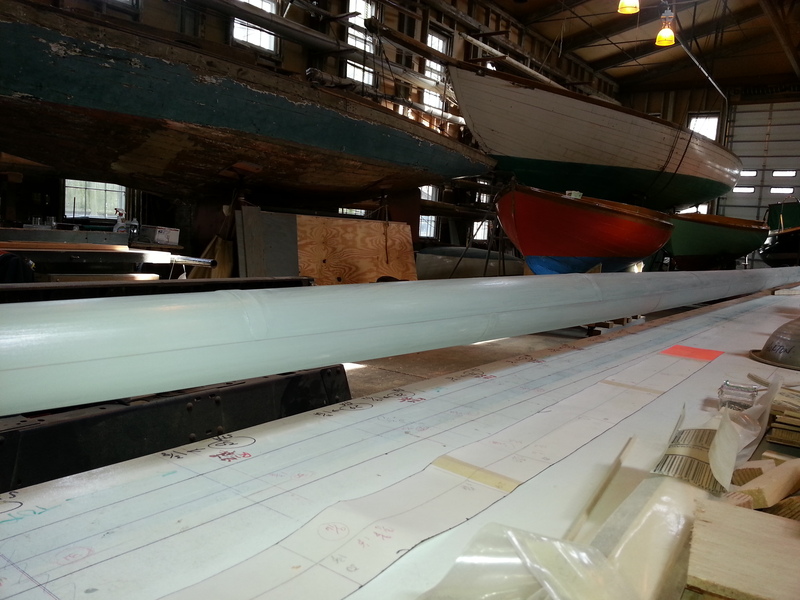 We received a rough mast that we’ll be shaping into Reliance shape. 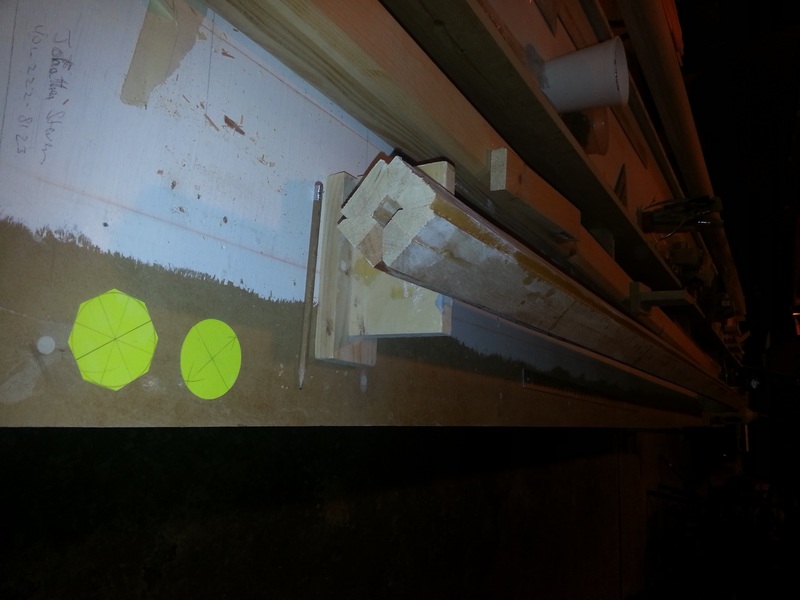 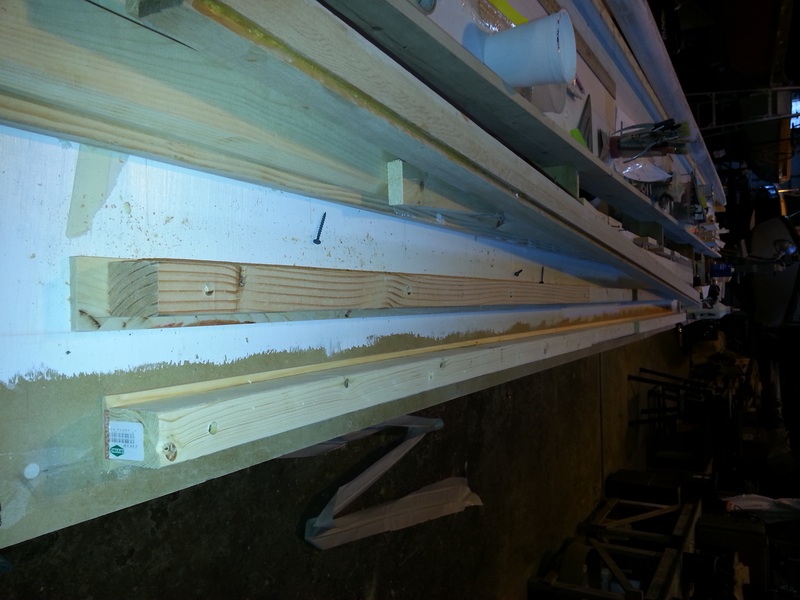 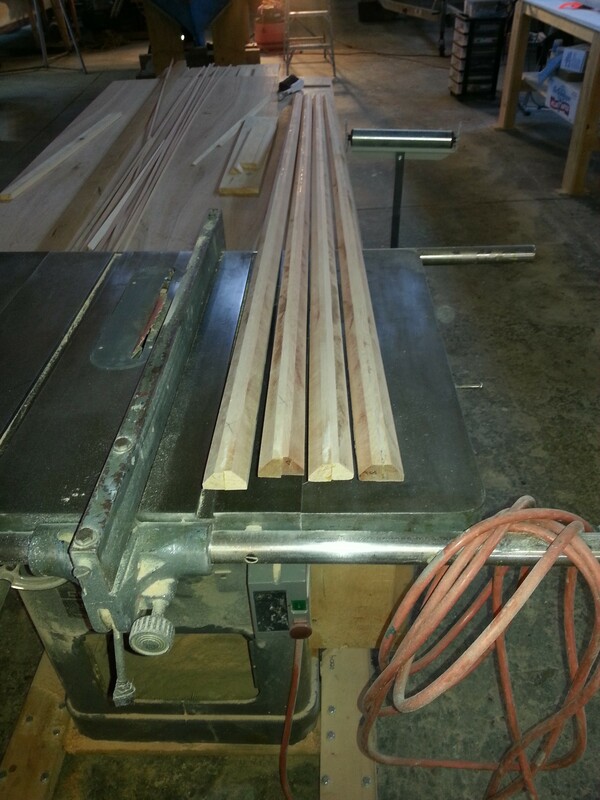 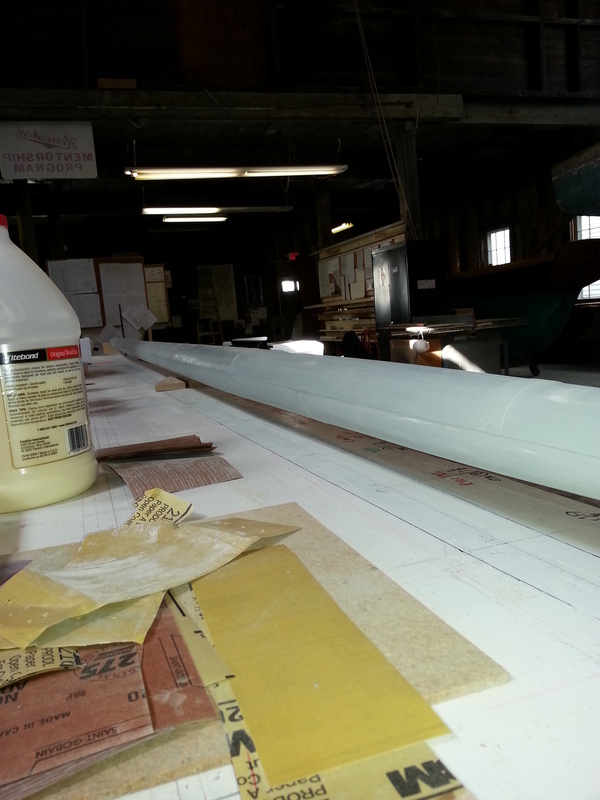 It has the proper taper at the top most 3 1/2′ and is a straight stick for the remainder – just like the original. 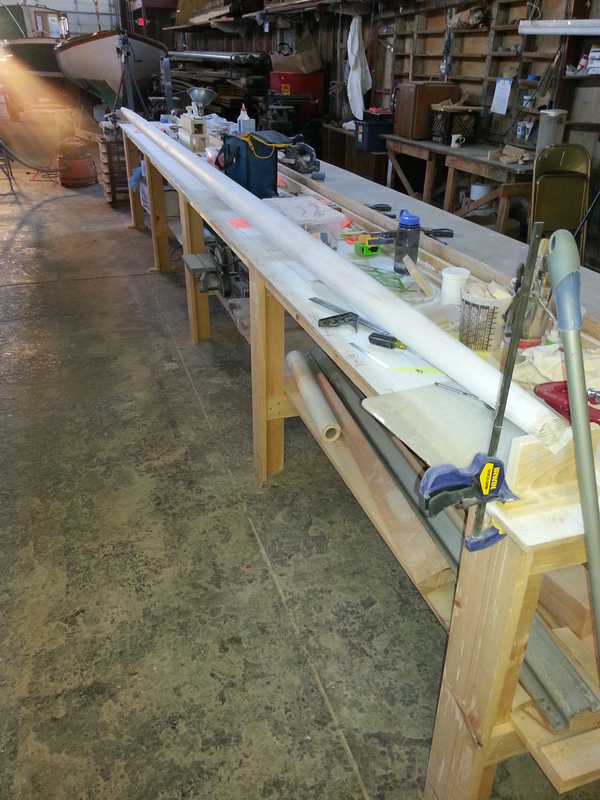 Ours is 8′ too long for now, but much better than too short!! 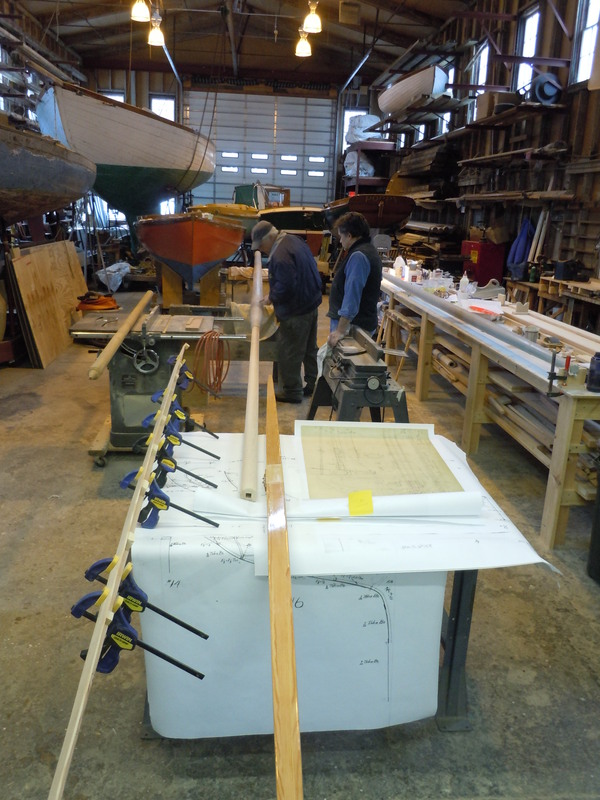 Enlosed pictures show the mast with our telescoping topmast inserted and #1 club topsail yard two blocked against it, so you can see how tall the rig will be. 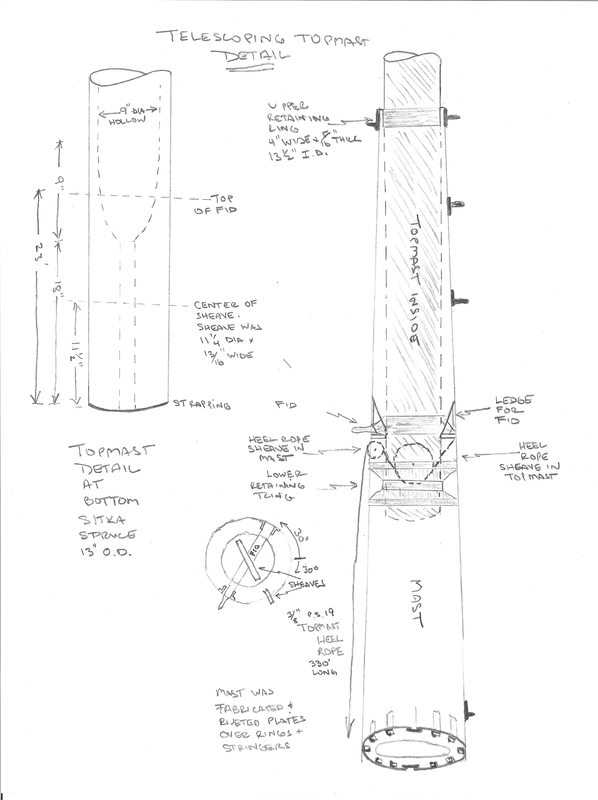 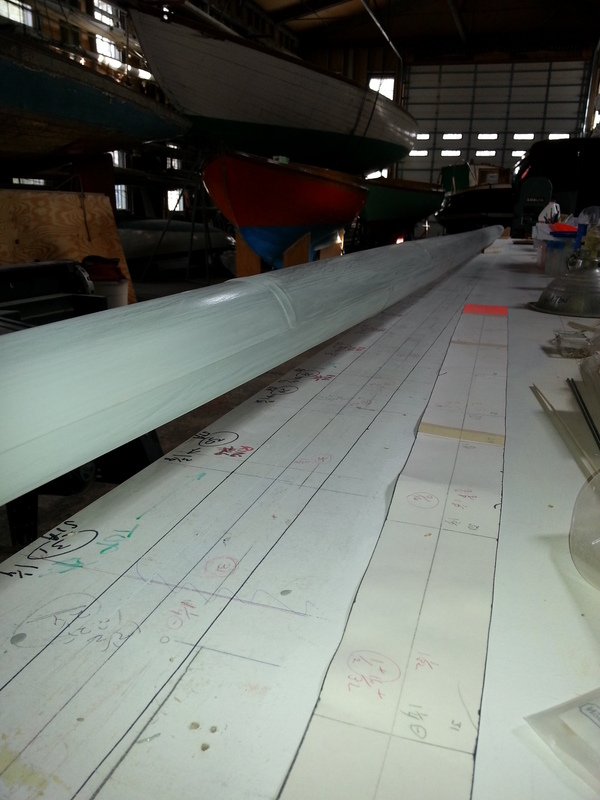 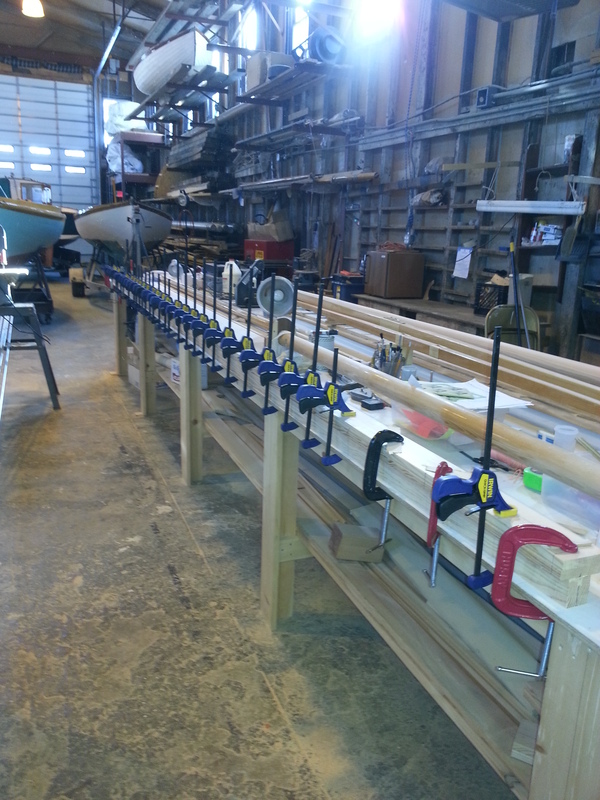 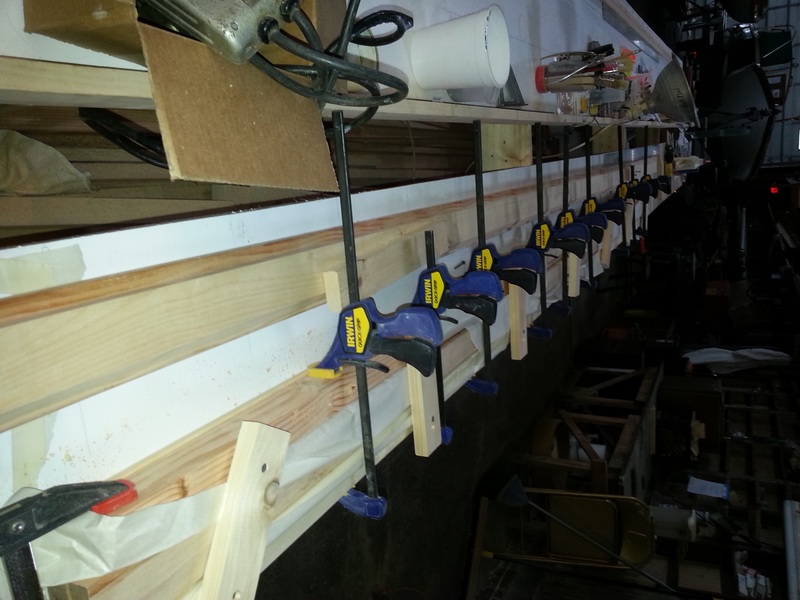 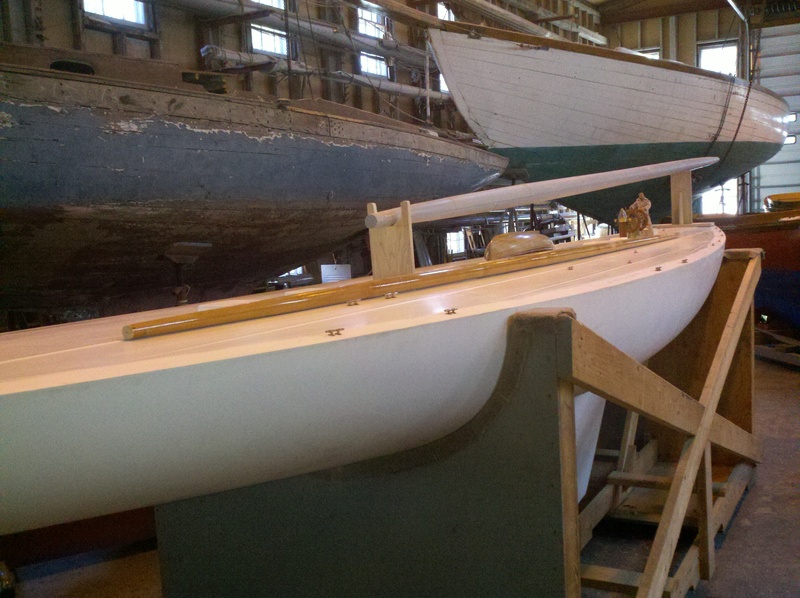 This entry was posted in Builder's Notes & Pictures and tagged Herreshoff, mast, RELIANCE on April 19, 2013 by Herreshoff Marine Museum/America's Cup Hall of Fame. 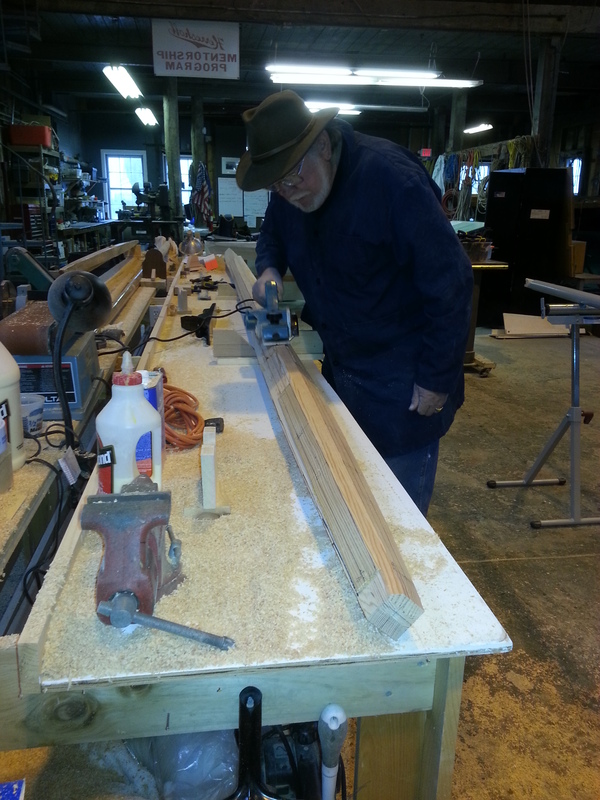 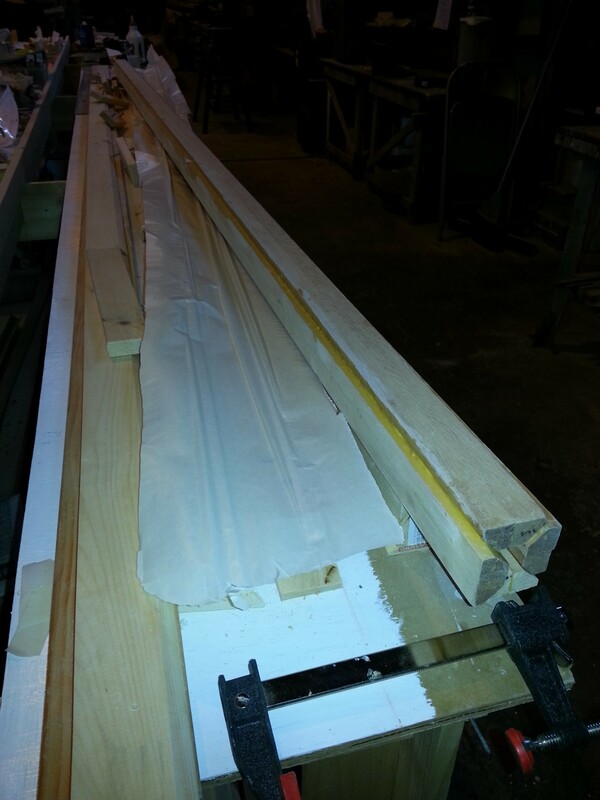 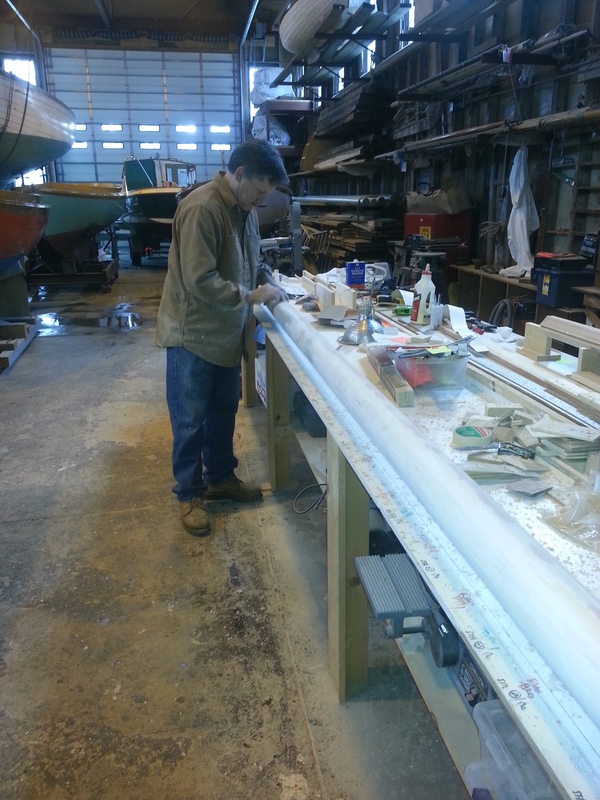 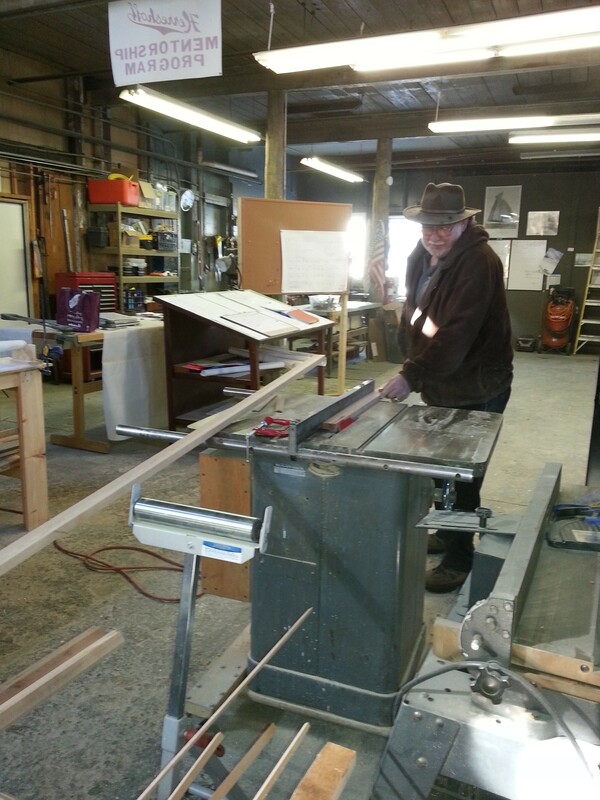 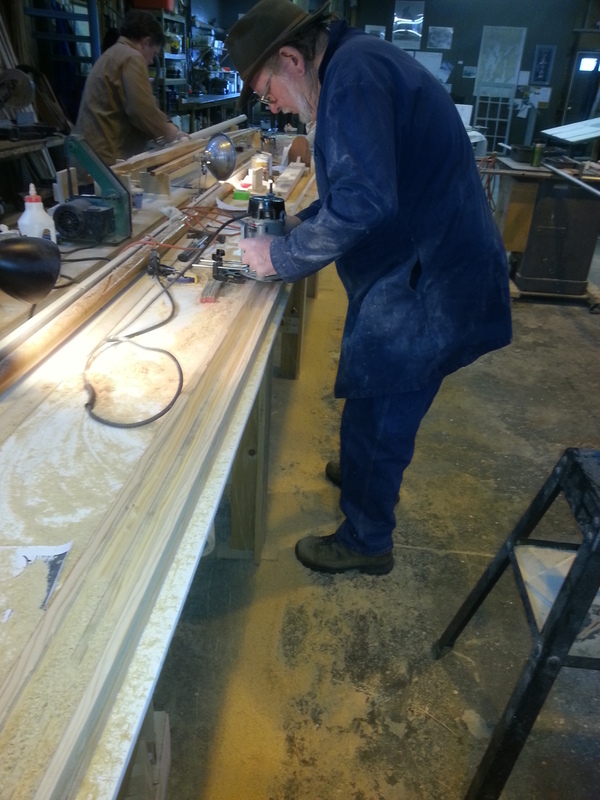 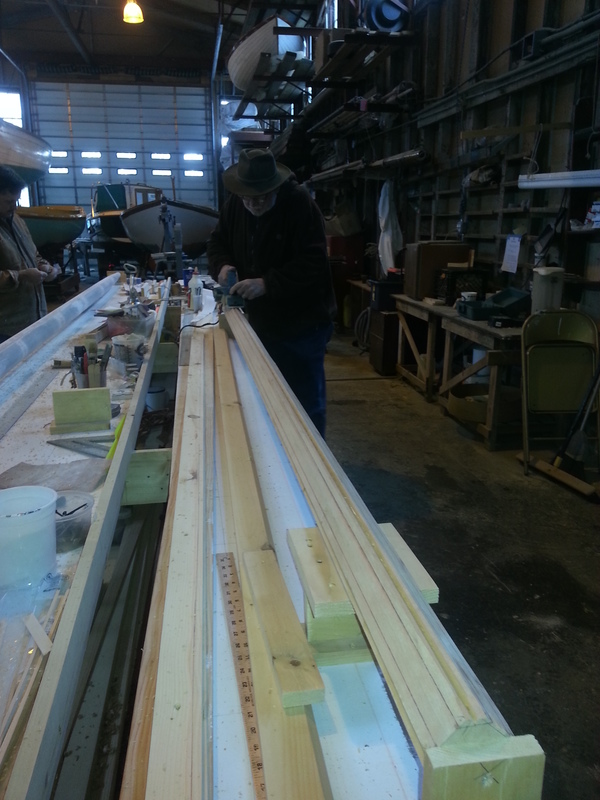 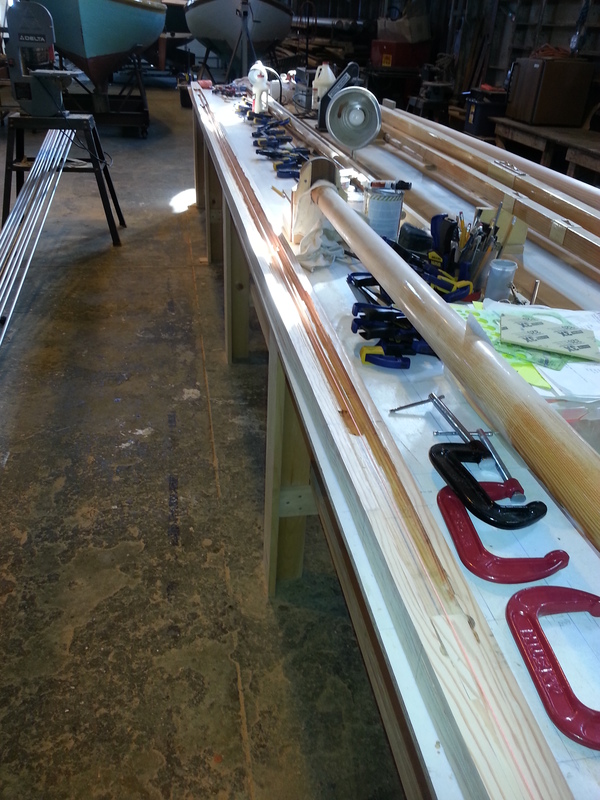 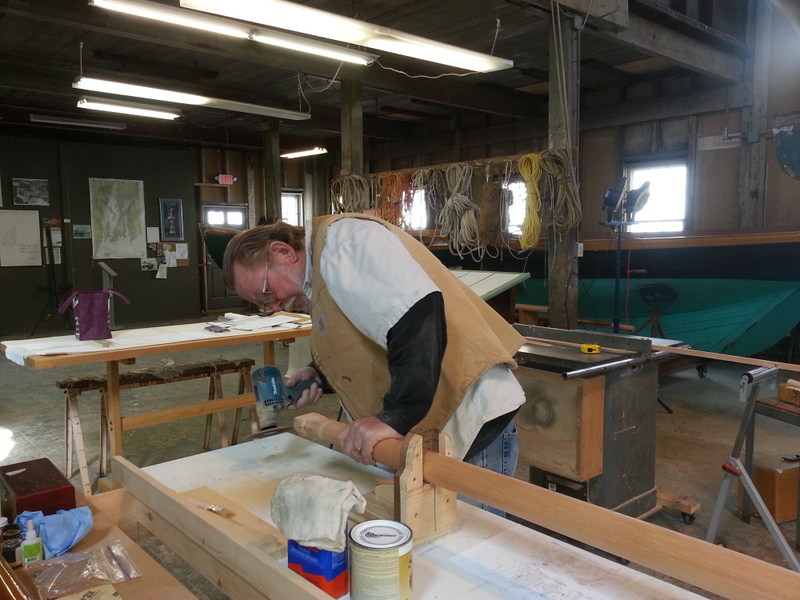 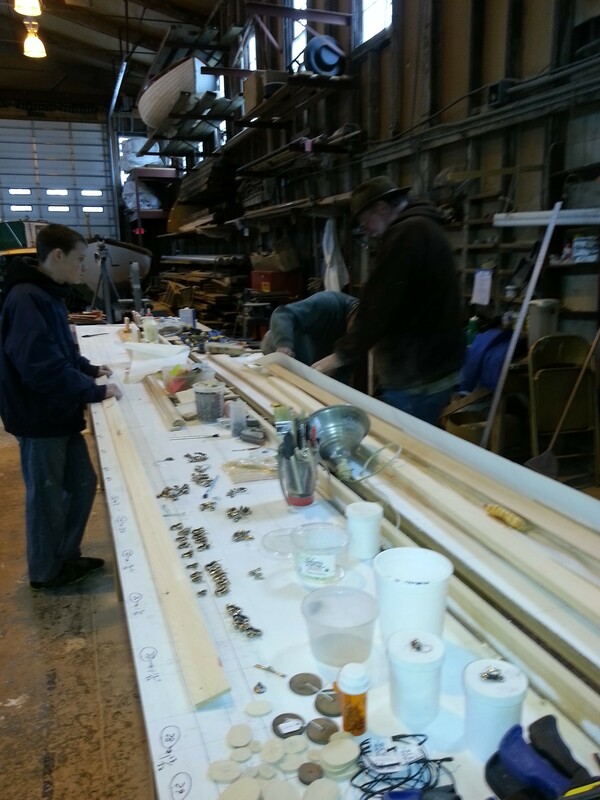 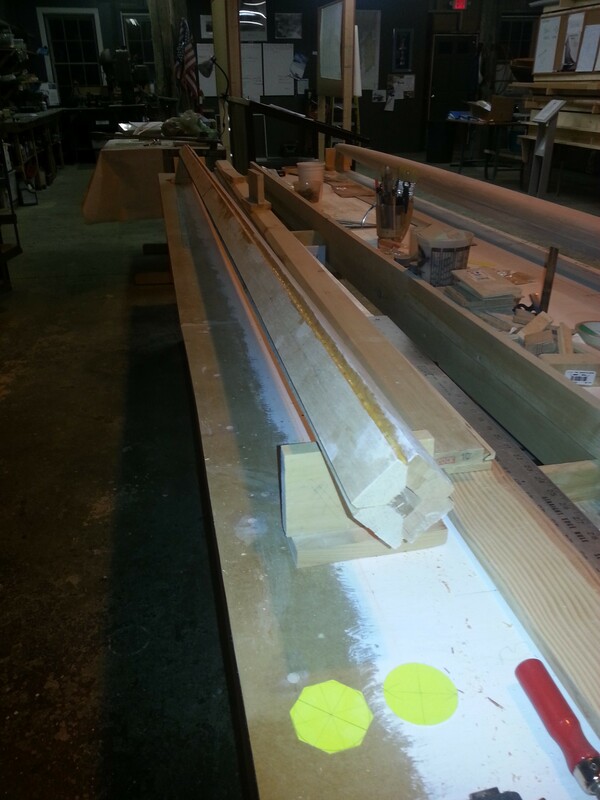 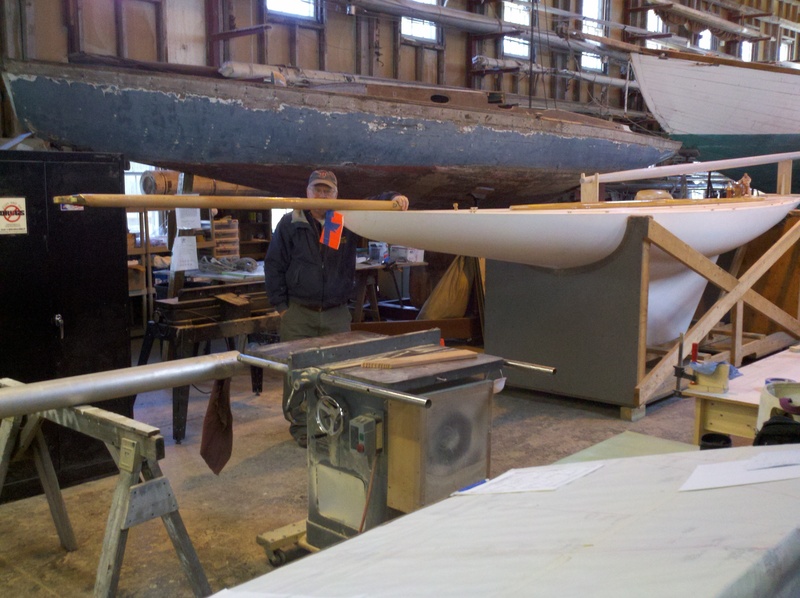 On March 21st we received our hull and main mast! 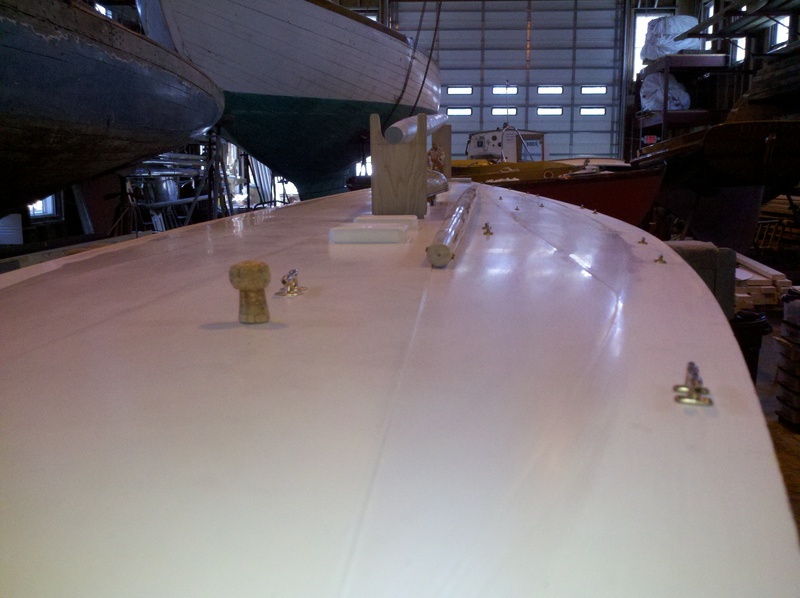 The hull weighs in at 800 lbs and the mast at 100 lbs. 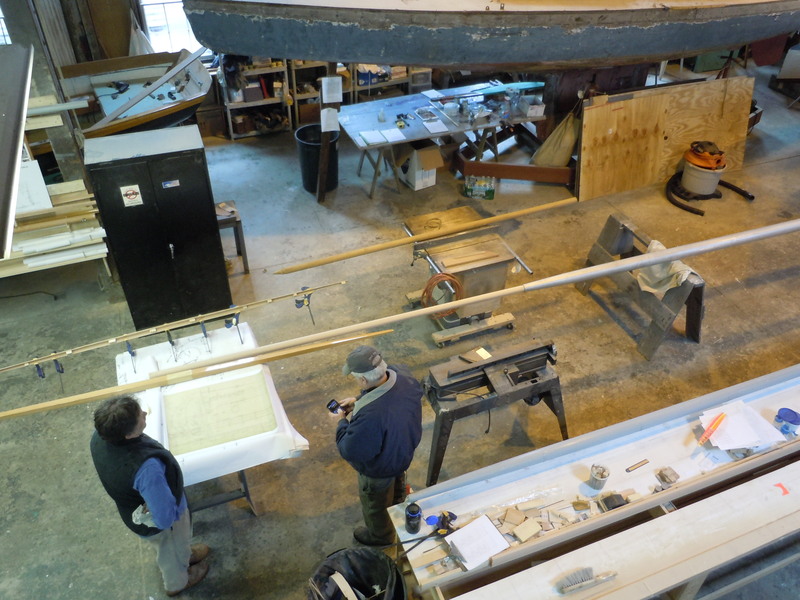 I am told that at our 1/6 foot scale Reliance should weigh 1,750 lbs fully massed, but fortunately we don’t intend to sail her. 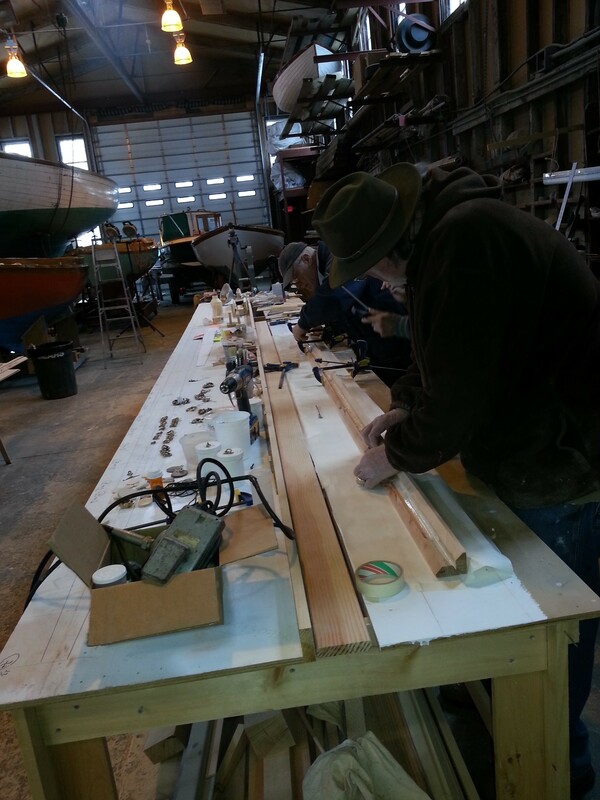 We placed the bowsprit, boom and spinnaker pole on the hull along with the wheel, binnacle, after hatch, and several cleats so you can appreciate how she’ll eventually look. 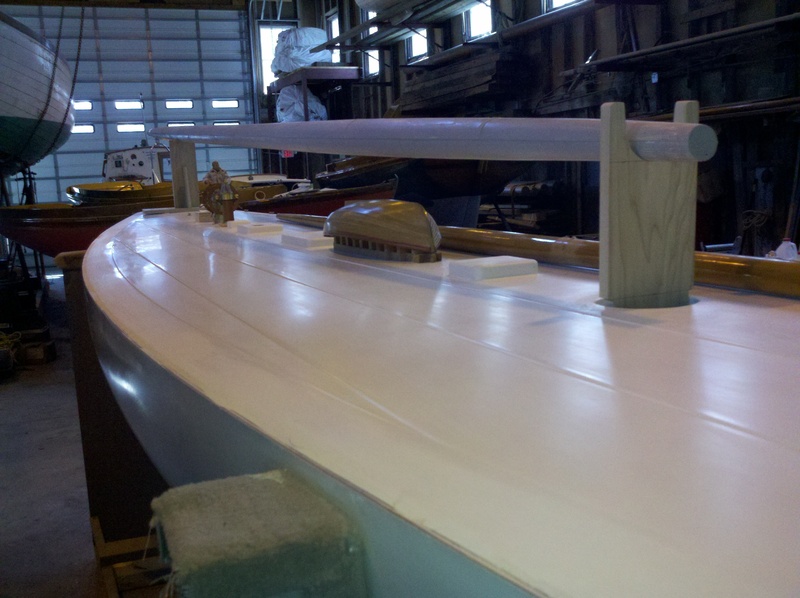 So enjoy the pictures as much as we’re enjoying working on her. 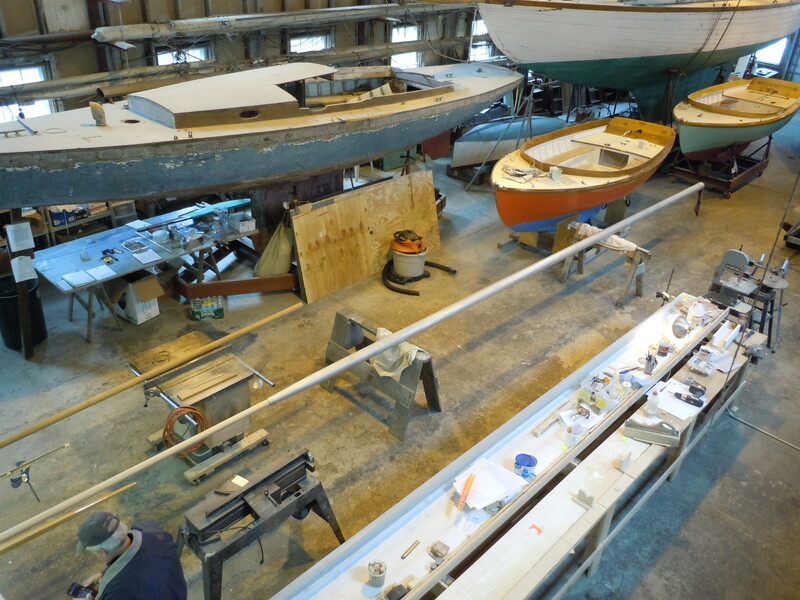 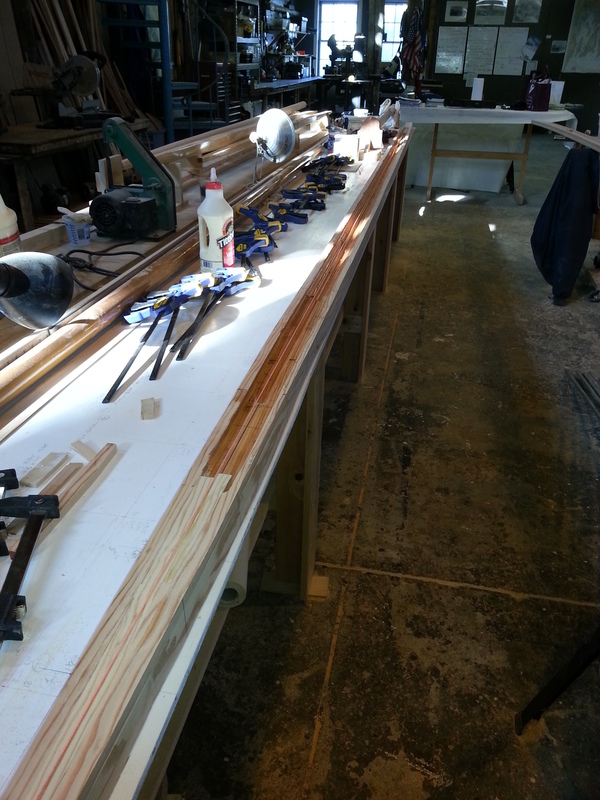 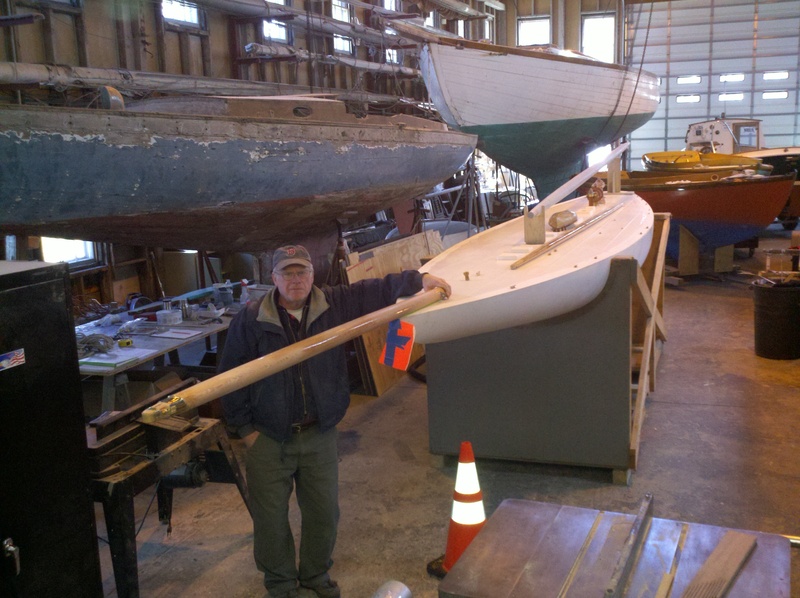 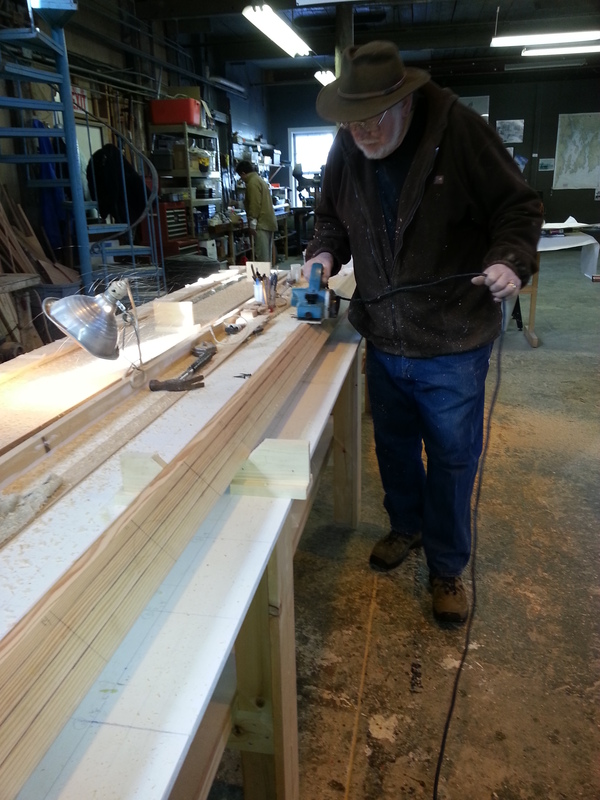 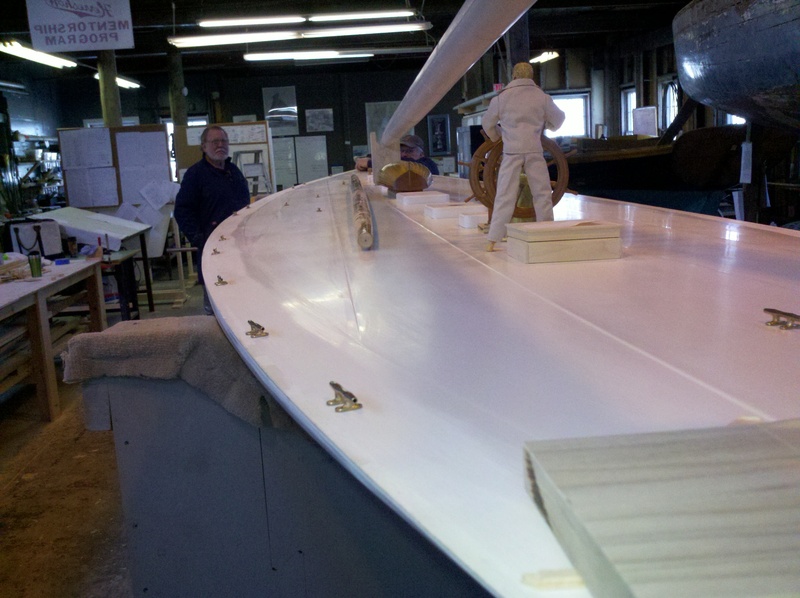 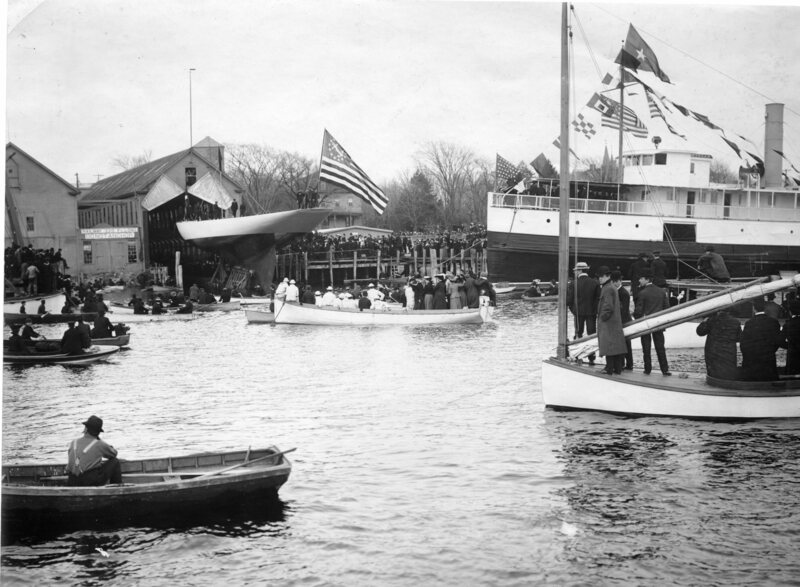 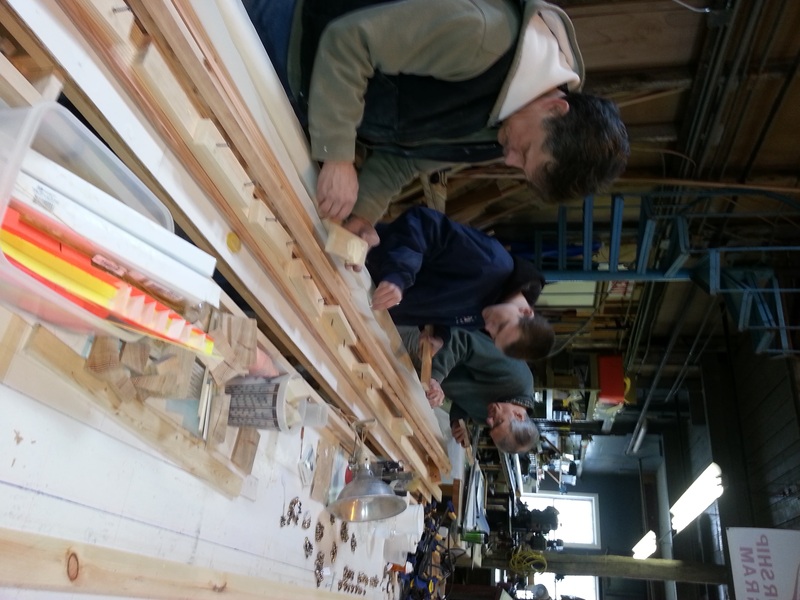 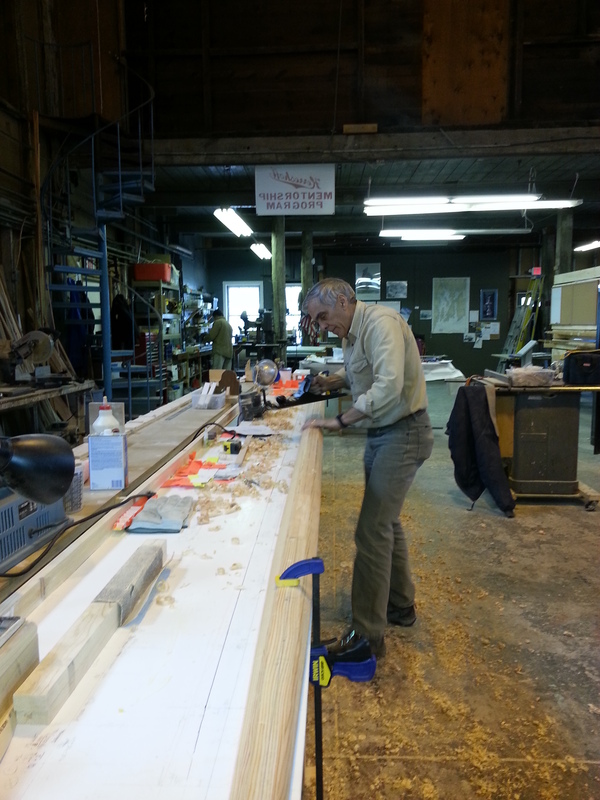 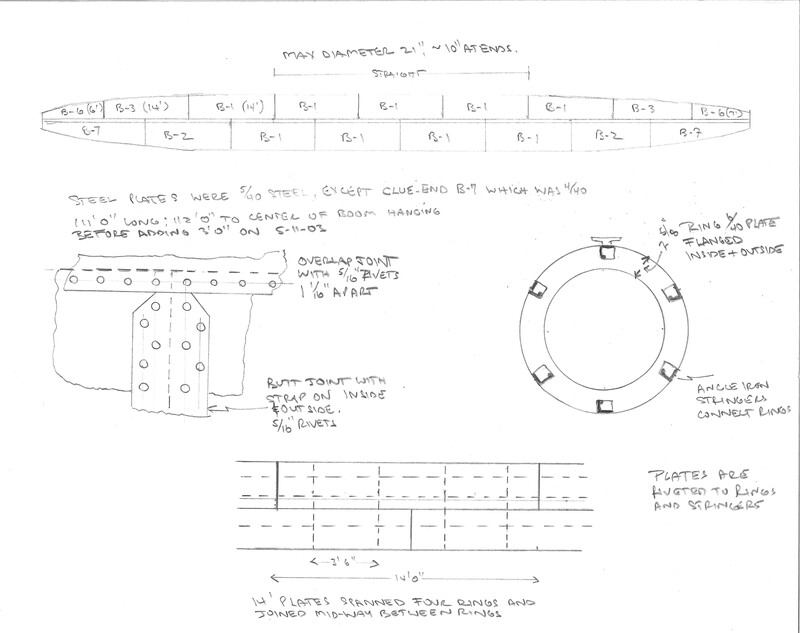 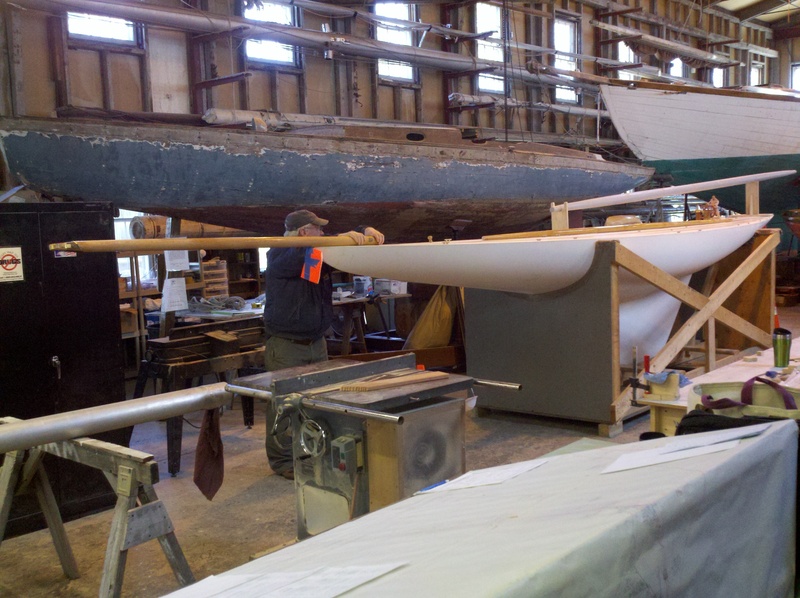 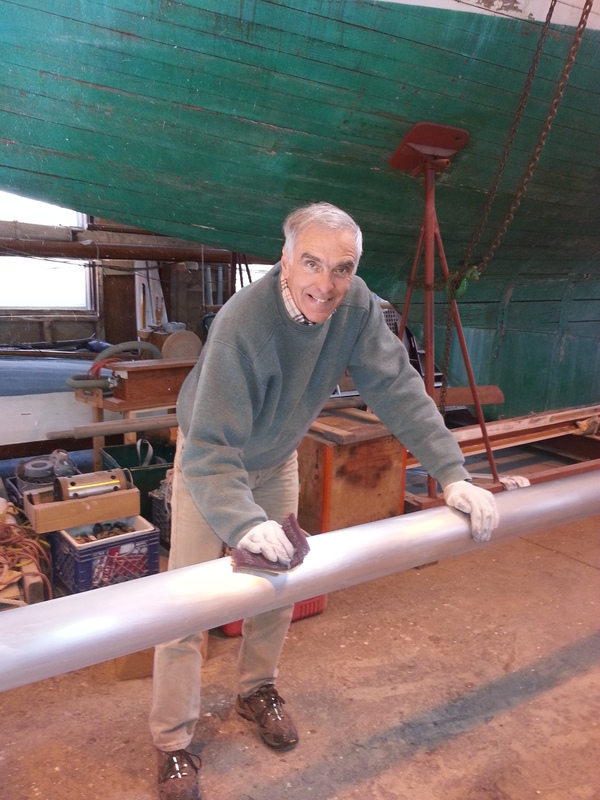 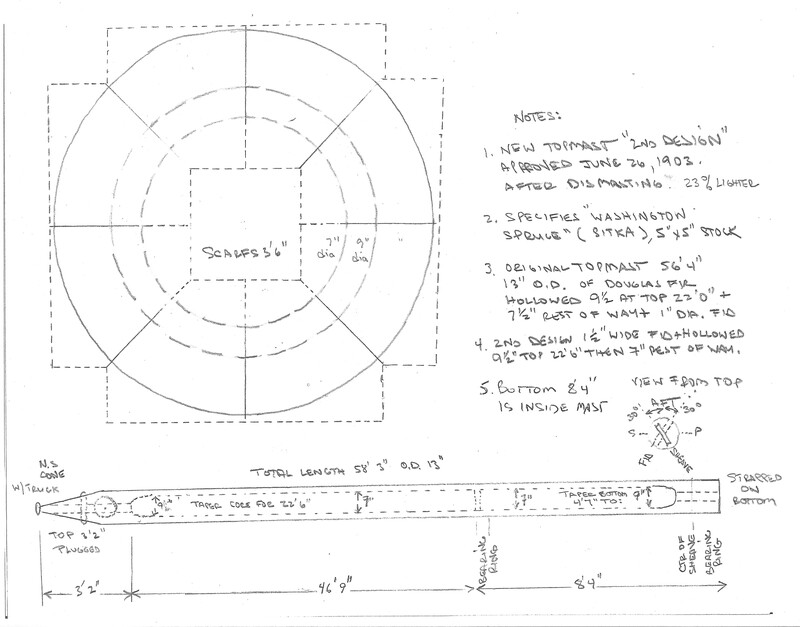 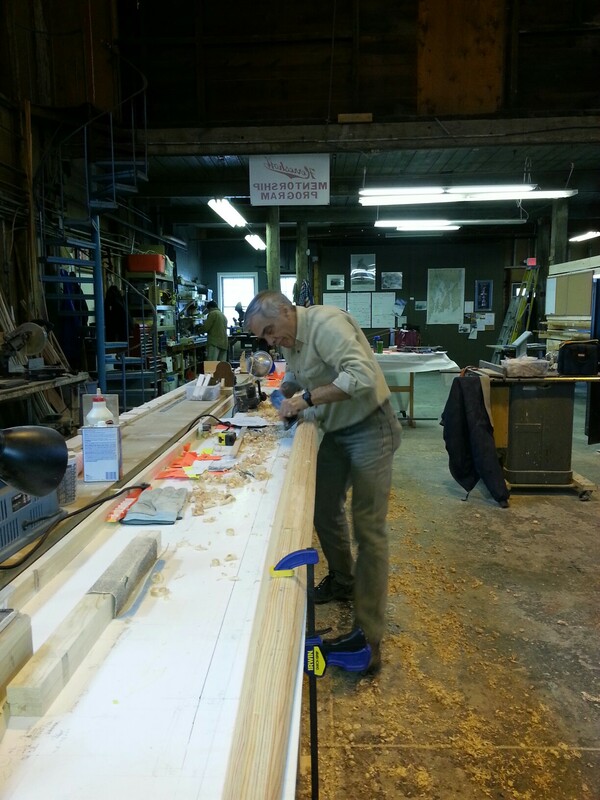 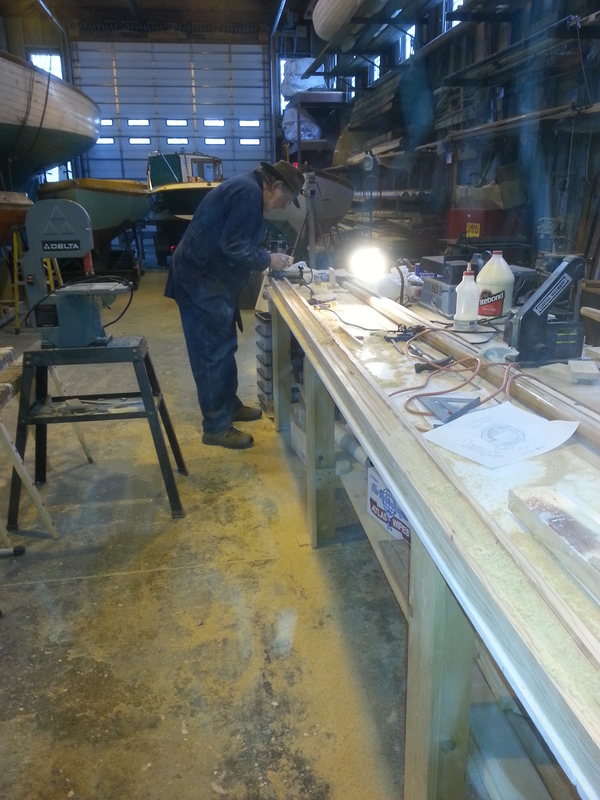 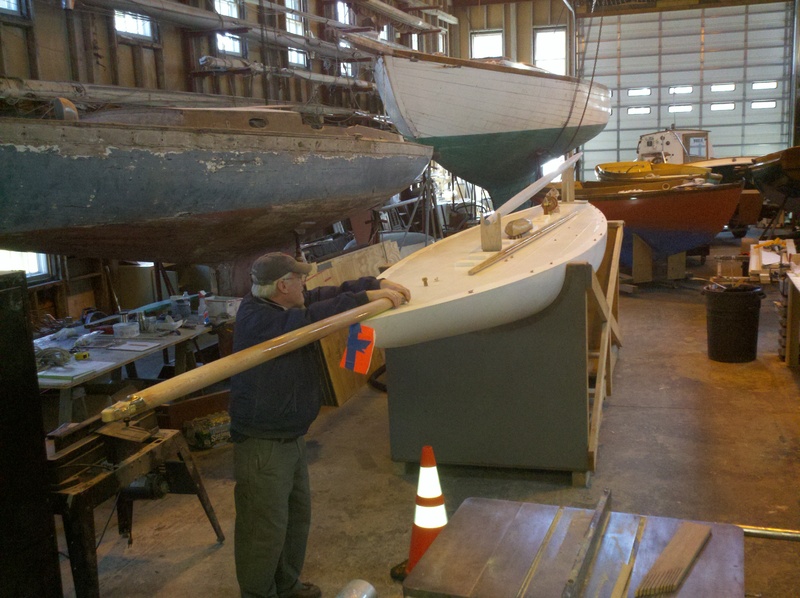 This entry was posted in Builder's Notes & Pictures and tagged hull, RELIANCE on April 10, 2013 by Herreshoff Marine Museum/America's Cup Hall of Fame.